NATURAL COLOR IS NATURAL DYE ONLY FOR MORDANTS WITHOUT USING CHEMICAL DYE ENTIRELY. BECAUSE THEY MAKE ONE POINT OF ONE POINT OF HAND DYEING AFTER ORDER, A COLOR AND A TEXTURE HAVE INDIVIDUAL DIFFERENCE. AS FOR THIS OF THE PLANT DYEING IF THINK THAT IS SMART, AND IT CAN BE UNDERSTOOD, IS HAPPY. ON THE OCCASION OF AN ORDER, PLEASE ORDER IT IN HAVING YOU CONFIRM NSTRUCTIONS, ANDUNDERSTANDING IT. 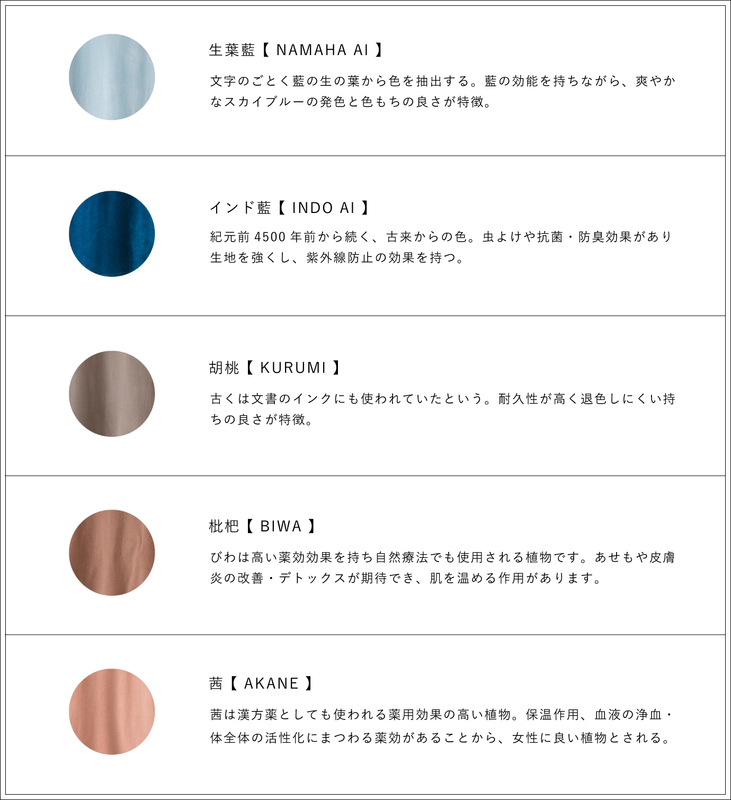 ※INSTRUCTIONS) I・In a property of ・ natural dye having delivery date of 3 weeks after order, there are some differences in a hue. ・For hand dyeing, it may become the uneven coloring. ・There is not the color with the permanent thing. There is a secular variation. ・I tan when I expose it to the sunlight at long time. ・Because the plant dyeing is vulnerable to the acidity, please do not use the detergent with chlorine-based bleach, fluorescent brightener. I recommend a synthetic detergent to washing. ・There is possibility of the color migration. © armi All Right Reserved.